A complete marijuana grow kit gives you everything you need to start growing weed indoors. It is an all-in-one solution to get you setup and growing quickly. When you buy a complete marijuana grow kit, you don’t need to spend hours and hours researching what equipment you need, and what other equipment it will compliment. 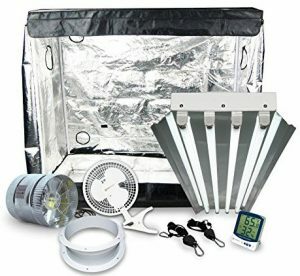 Questions like “What strength LED grow light is suitable for my grow area? What kind of a fan is suitable for my light?” become irrelevant because it is all included in the marijuana grow kit. 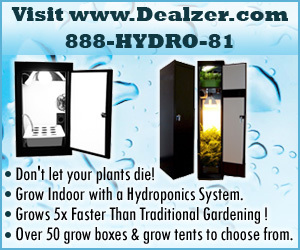 Marijuana grow kits are designed around the size of the included grow tent. Everything you need to grow successfully is included in marijuana grow kit. Each piece of marijuana equipment is specifically selected to suit the size of the grow tent. Marijuana grow tent kits are put together by expert growers. By getting a marijuana grow kit, you take advantage of their expertise and years of experience. You can be secure in the knowledge that your equipment is ideal for the size of your intended marijuana grow, and that your equipment will work together in harmony. Putting together a marijuana grow room from scratch is a daunting task, even for experienced growers. When you’re starting out, if can be enough to put you off growing marijuana for life. A marijuana grow kit is a convenient alternative that makes your marijuana beginnings a little easier. What is a marijuana grow kit? A marijuana grow kit is also know as a marijuana grow tent kit, marijuana grow room or marijuana grow tent package. It is a complete all-in-one marijuana growing package that contains a grow tent and all the accessories and equipment needed to start growing weed indoors. At a minimum a marijuana grow kit includes a grow tent and grow lights. 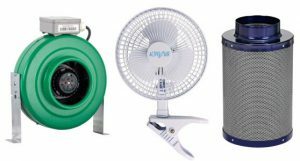 The grow kit typically also includes fans, filters, rods, beams, connectors, thermometers and other accessories. Related: Best marijuana grow tent and Best LED grow lights for weed. Tent size: The size of grow tent included in the marijuana grow kit is the most important consideration when buying a marijuana grow tent kit. The size of the tent determines the number of plants you can grow at a time. This in turn determines the size of your harvest. You also need to give some thought to how much available space you have in your home to accommodate the grow tent. Many growers set up their weed grow tent in a spare room, garage, kitchen or basement. Surveys in the US, Canada and the UK have found that most medicinal marijuana patients use between 1 g and 3 g a day. This equates to approximately 2.5 lb a year. To produce this quantity of weed you need to grow 2 to 3 plants. 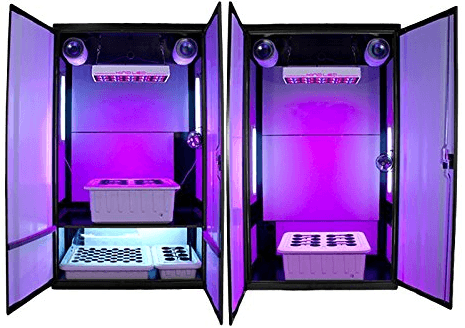 Grow lights: A marijuana grow kit includes marijuana grow lights. 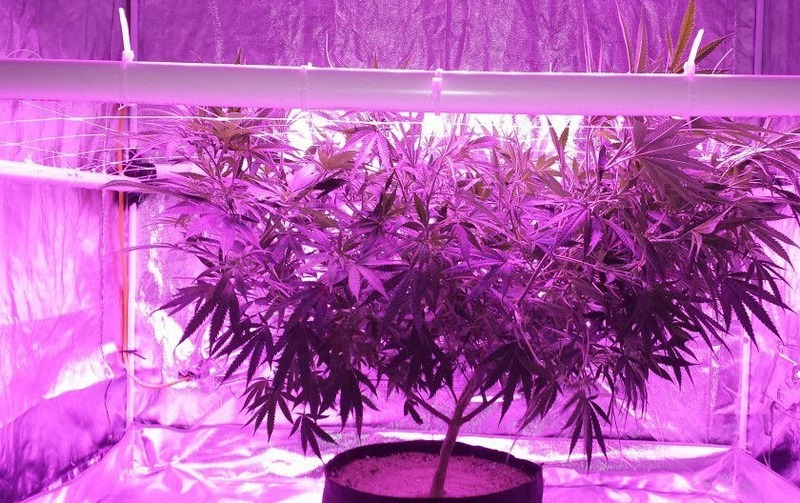 The most common types of lights for growing marijuana are fluorescent, LED and HPS. 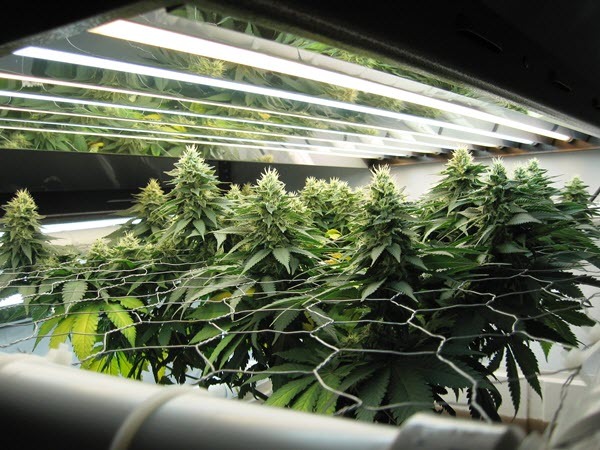 Grow lights are a very important factor when choosing a marijuana grow tent kit. Go for full spectrum LED grow lights if you can. Soil or soilless: Marijuana grow kits may be designed for growing weed hydroponically or growing in soil. The growing medium determines what is included in the marijuana grow kit. Those designed for soilless growing typically include a hydroponic system as well. Equipment: Marijuana grow kits typically included the equipment and accessories needed to start growing with the selected grow lights and growing medium. Before finalizing your purchase, you need to check that everything is included in the deal. Complete setup: A marijuana grow kit comes as a complete weed growing setup. All needed equipment is included. Common features are fans and filters to regulate ventilation and air quality, grow lights and reflective inner material interior to enhance lighting. Most marijuana grow kits also include equipment like pumps, timers, nutrients, pH adjusters and grow media. Cost-effective: Marijuana grow tent kits make good financial sense, especially for the beginner or small-scale weed grower. At first the price of a marijuana grow kit may seem high. However, when you add up the price of the included components, you will be pleasantly surprised. Less risky: Setting up an indoor marijuana grow can be risky business. You can fall into many unforeseen traps. Unless you are an expert, you don’t known if the grow tent, lights, cooling system and other components will match each other. 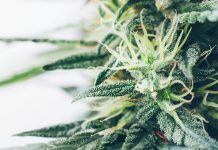 The components that go into marijuana grow kits, on the other hand, are selected by expert growers who have experimented and know exactly what works perfectly with what. 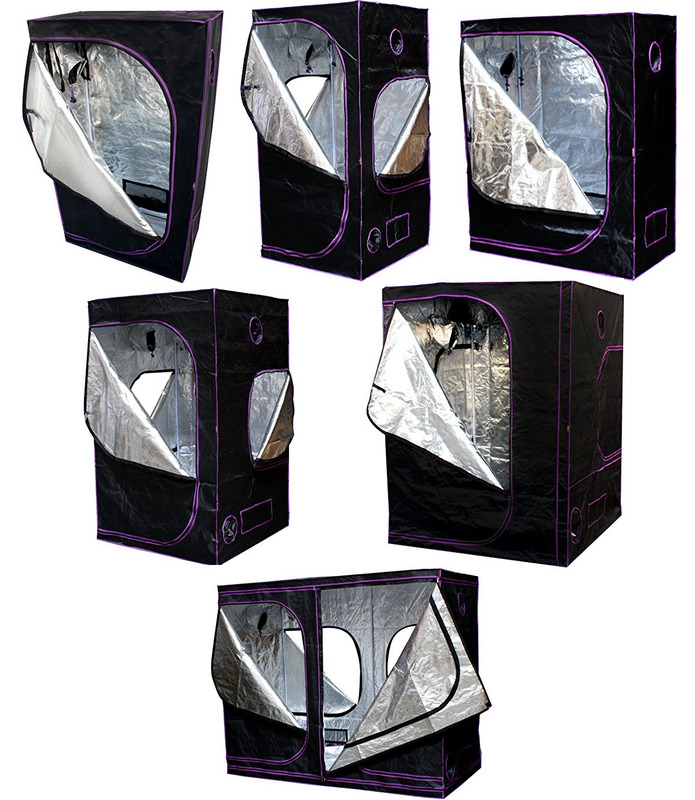 Optimal space-light balance: Marijuana grow kits include tents of exactly the right size for optimal internal reflectivity for the included lighting. Objective specific: Grow tents by their very nature are spaces created specifically for the purpose of growing plants. 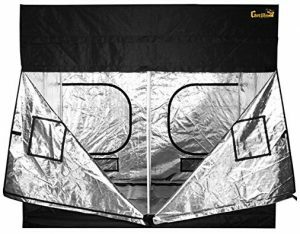 The marijuana grow tent kit is optimized for this sole purpose. 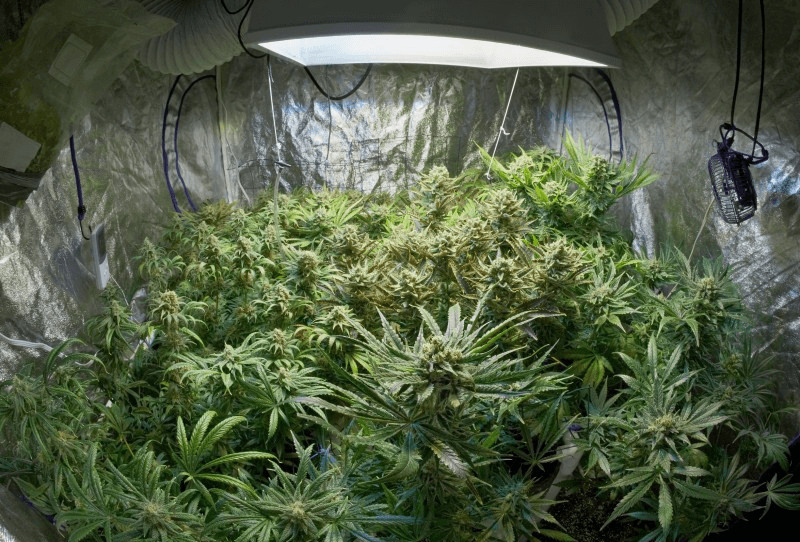 A cabinet, room, basement or other space that has been converted into a grow space has its own complexities and peculiarities that need to be taken into account. Controlled environment: It is easy to control and adjust conditions in the compact space of a marijuana grow kit. Lighting, temperature, humidity and ventilation are far easier to control in an enclosed environment. Discreet: An major advantage of a marijuana grow kit is the fact that they hide your grow away from prying eyes. While the tent is designed to keep light out and in, it serves a dual purpose because it also keeps your grow private and away from inquisitive people. This is vital for stealth growers. Odorless: Marijuana grows give off a far more pungent odor than other grow types. Many marijuana grow tents have built-in carbon filters to eliminate odors. Your living space will remain fresh and odor-free, while your grow remains secret and undetectable. Low maintenance: A marijuana kit requires less maintenance than a grow room, for example. Your equipment is in a single, compact space and is mostly automated. This makes it simpler to monitor things and correct problems. As an added bonus, less monitoring means your weed plants are disturbed less and this enhances growth. High yields: Because a marijuana grow kit can provide ideal growing conditions, you should enjoy higher yields and top-quality harvests. Insulated: A marijuana grow kit creates an insulated environment for your marijuana plants to flourish in. First, the tent keeps pests and bugs out. Second, it keeps light in and out when appropriate. When your grow lights are on, the reflective interior enhances the light and the marijuana grow tent prevents light from escaping. When your grow lights are off, the tent prevents outside light from seeping in, allowing your cannabis plants much-needed rest. 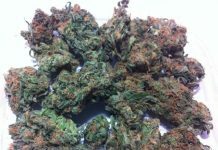 Below are summaries of the marijuana grow kits that we consider to be the best on the market today. We have listed the best overall marijuana grow kit first. After this we provide our picks by grow kit type. There are selections for the best value marijuana grow kit, the fluorescent starter marijuana grow kit, the best hydroponic LED marijuana grow tent and the ultimate marijuana grow kit. Whether you are a novice or experienced grower, and no matter which method you prefer to grow your marijuana, there should be a marijuana grow kit suggestion to suit your needs. The Gorilla grow tent (2′ x 4′) LED combo package gets our vote for the best overall marijuana grow tent kit on the market. 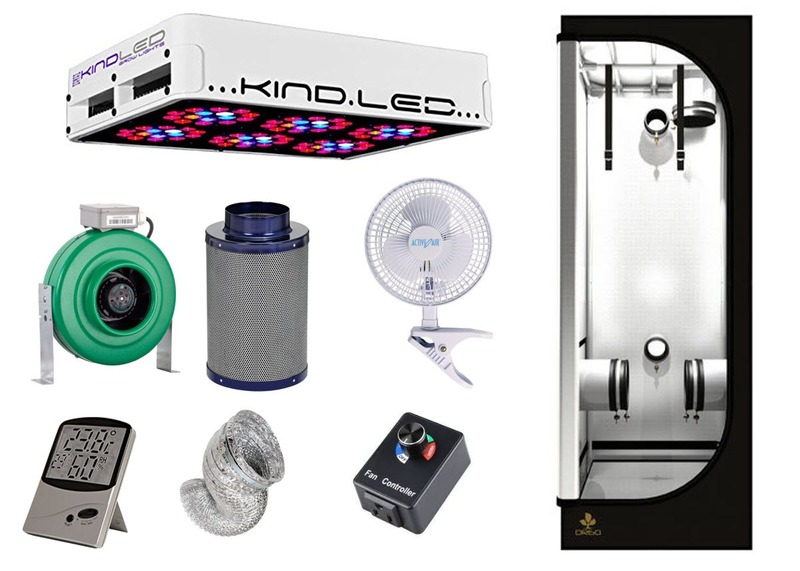 This kit was is an ideal all-in-one LED marijuana grow tent kit for the home marijuana grower. The kit includes high-quality equipment that has the potential to produce superb yields if managed effectively. The Gorilla grow tent (2′ x 4′) LED combo package is available on Amazon for $1,329.51. This is a great price if you consider what is included in this marijuana grow tent kit. This is a fantastic grow set up. The gorilla tent is the best on the market. The kit has everything but the plants. The other items in the kit are the best and top of the line. Great Price for everything! The Gorilla marijuana grow tent package is big enough to comfortably grow 2 flowering plants in 5 gallon buckets, and a maximum of 3 plants. Accommodates height-adjusting extension poles (sold separately). You can increase the height of your grow tent to 7′ 7″. 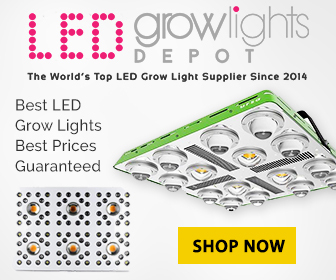 Superior quality LED grow light produces ideal light for grow tent size. Proprietary 12 full spectrum light powered by 3w diodes. Secondary optical lens magnifies PAR and increases canopy penetration by up to 200%. Extra large heat sinks, quiet fans and precision drivers. Runs cool and is very energy efficient. Quiet and durable with ceramic-coating and metal housing. Mounting brackets and 8 ft 120v cord included. Adjustable angle head rotates 360 degrees. Light weight and incredibly effective at removing potent odors. Loaded with virgin activated Australian granular carbon to adsorb volatile organic compounds. Traps every odor molecule that passes through the filter onto the micro-porous carbon surface. Durable – 2-year life expectancy. Powder-coated aluminum top and base. Active Air duct fan speed adjuster. Hydrofarm dual-outlet analog grounded timer. Hydrofarm 1/8 Rope Ratchet – 2 per pack. Active Air 6″ x 25′ premium ducting. The Secret Jardin grow tent (2′ x 2′) LED combo package gets our vote for the best value marijuana grow tent kit on the market. This marijuana grow kit is perfect for indoor marijuana growers. 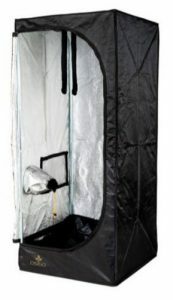 The Secret Jardin grow tent (2′ x 2′) LED combo package is available on Amazon for $1,167.50. 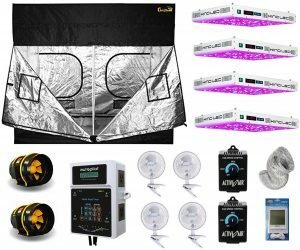 This marijuana grow tent kit features all the components you need to grow indoors and is the best value for money you will find in a marijuana grow kit. Measures 2′ x 2′ (23.5″ x 23.5″ x 67″). Lined with 95% reflective mylar fabric (210D) to increase light intensity and distribution. Light-proof, waterproof and pre-equipped for extraction and ventilation. Built-in bars for lamps and carbon filters. 2 intake ports, 1 extraction port and 2 cable ports. Runs cool and is very energy efficiency. Mounting brackets and 8 foot 120V cord included. Powder coated aluminum top and base. 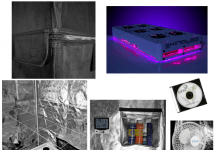 The Mother Keeper grow tent package is our favorite fluorescent starter marijuana grow kit. This is a complete plug-and-play indoor garden marijuana grow tent kit that is ideal for cloning, seedlings, and mother plants. 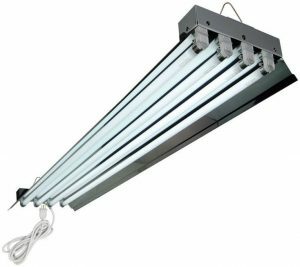 The marijuana grow kit comes equipped with high output T5 fluorescent grow lights. The Mother Keeper grow tent package is available on Amazon for $379.95. All of the equipment and products included in this marijuana grow tent packages are top quality and specifically sized and selected to work in harmony. This grow kit really takes the guesswork out setting up your marijuana grow. Measures 51.5″ (width) x 22.5″ (depth) x 48.5″ (height). Heavy duty reflective silver lined ballistic nylon material. Two 4″ vent ports, three 6″ vent ports and bottom vent flap. You can customize the light spectrum by selecting the number of grow-spectrum or bloom-spectrum bulbs required. For example you can choose two of each or four of one kind. Lighting system dimensions: 47″ (length) x 10″ (width) x 3″ (depth). Lamps emit very little heat and you can hang the fixture very close your plants to increase yields. T5 bulbs have 24,000 hr life expectancy and should last for years. Solid State multi-volt digital ballast is virtually silent and emits very low heat. Operates on 120 Volt (household current) or 240 Volt automatically. Highly reflective aluminum reflectors for maximum light output. Locking lamp sockets hold lamps firmly in place. Pair of rope ratchet grow light hangers. 6″ duct fan and flange kit. Assembled kit measures: 48.5″ (length) x 22.5″ (width) x 57.5″ (height). Related: Best T5 grow lights for marijuana and Best grow lights for growing weed. 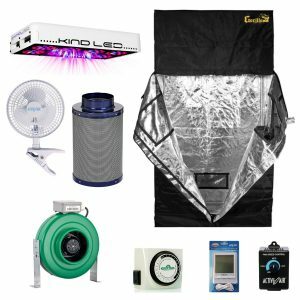 The Gorilla grow tent kit 1000w KIND LED XL1000 package gets our vote for the ultimate marijuana grow tent kit! 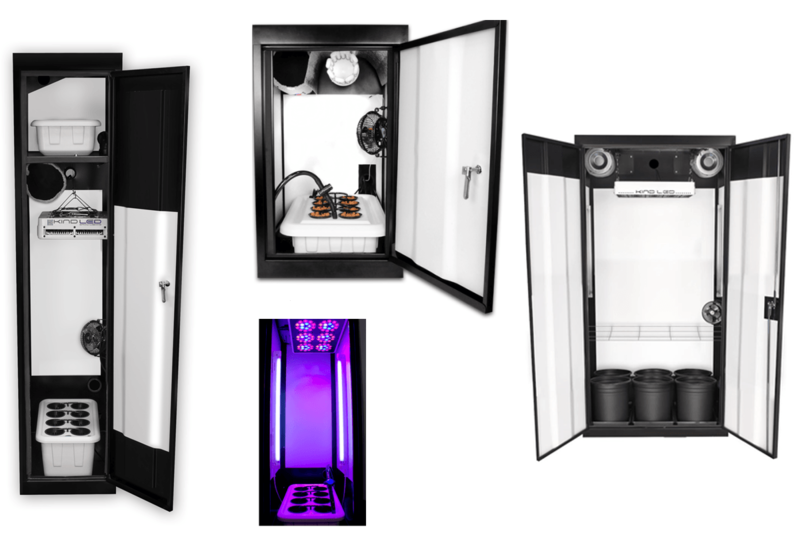 This grow kit is for the professional indoor grower and is the marijuana grow tent kit to aspire to. 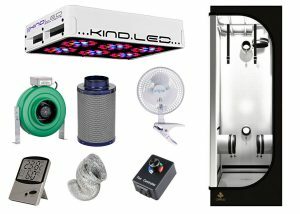 The Gorilla grow tent kit 1000w KIND LED XL 1000 package is available on Amazon for $8875.51. Yes, it is expensive, but it is a great price if you consider what is in the kit. The Gorilla marijuana grow tent kit contains only high quality components that all work together harmoniously. Active Air controllers and environmental products in this weed grow kit give you unmatched control over your growing environment. 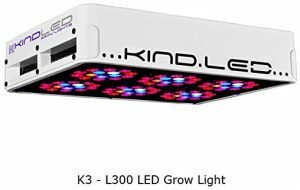 The high-powered LED grow lights employ the latest LED technology to bolster your professional garden. 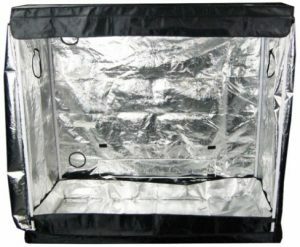 1680D Diamond Reflective walls are at least 3 times thicker than other grow tents. Tent is light proof, odor resistant and properly insulated. Supported by 100% metal, interlocking, sturdy frame & connectors. Can hold up to 500 lbs for maximum safety and security. InfraRed blocking roof (patent pending). 10″ double-cinching ducting ports with zero leakage. Ports are positioned exactly where they should be. Safety pool for unexpected water spills. Large EZ view windows allows you to view your grow without dirturbing conditions. Doorways zip all the way around to offer complete 360 degree access. 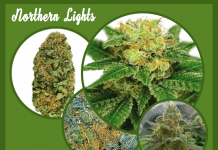 Superior quality LED grow lights that use cutting-edge technology. Grow lights are comprised of the perfect mix of 320 3- and 5-watt light-emitting diodes to increase efficiency and intensity. Secondary optical lens magnifies PAR and increases penetration. Energy efficient. Consumes approximately half the electricity of HID equivalent. Runs very cool and quiet. 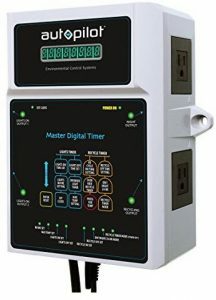 Precise digital time clock with battery backup. Adjustable high temperature shutdown and hot start prevention. Recycling on/off range: 1 second to 96 hours. 2 Can 8″ Max-Pro Series fan: Smallest, lightest and most energy efficient fan of its kind. Adjustable angle, head rotates 360 degrees. 2 Active Air duct fan speed adjusters. 4 Hydrofarm 1/8 rope ratchet – 2 per pack. Active Air 8″ x 25′ Premium Ducting. Previous articleSuperTrinity LED grow cabinet review! 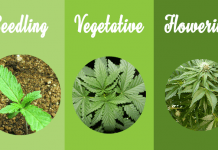 Next articleMarijuana growth stages! 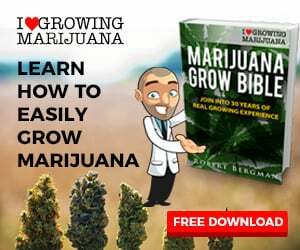 Learn how marijuana plants grow!